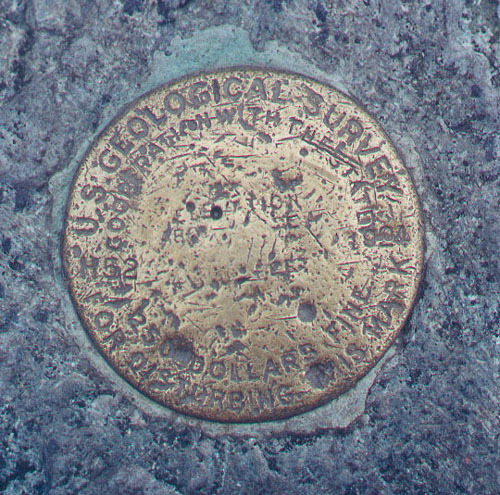 This is the benchmark H52 dated 1924 at the summit of Mt. Mansfield. I could not find the original 1897 benchmark disk. Photo September 2001.